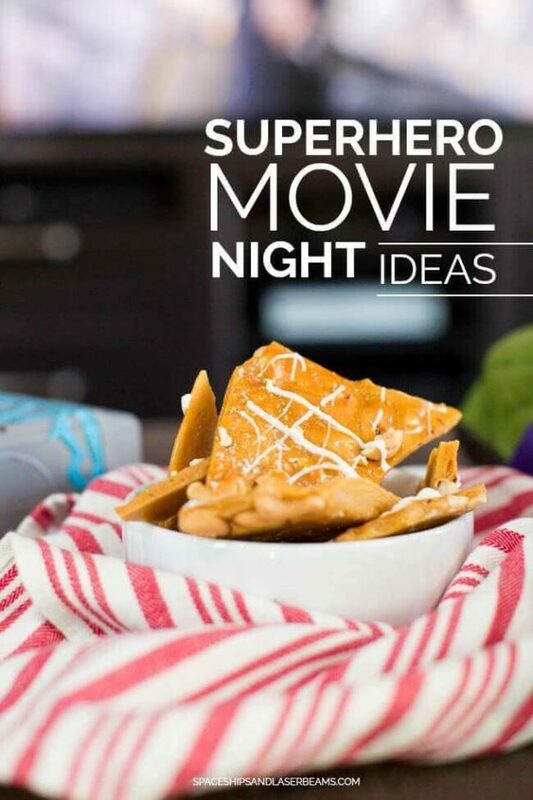 Our family loves a fabulous movie night at home together — it’s the perfect way to enjoy time together and relax. Thanks to Fandango FanShop for partnering with us to talk about movies! 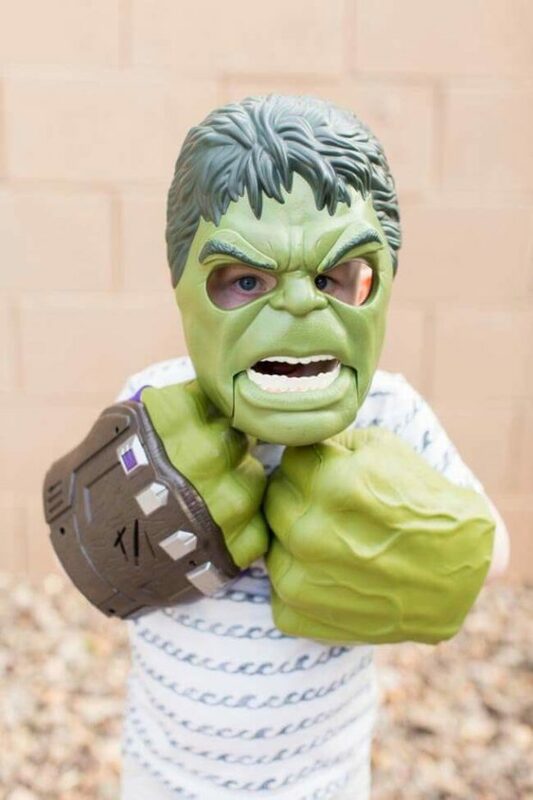 My boys love, love, love superheroes…. all three of them. I adore watching my husband, Ryan, connect with our little guys over shared passions and introduce them to new things. 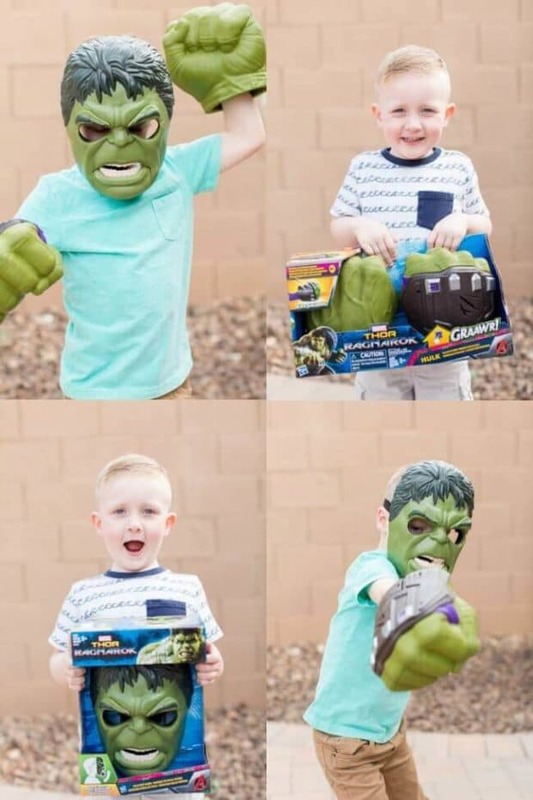 This Hulk mask and fists had our entire family cracking up. The best part: the eyebrows wiggle. 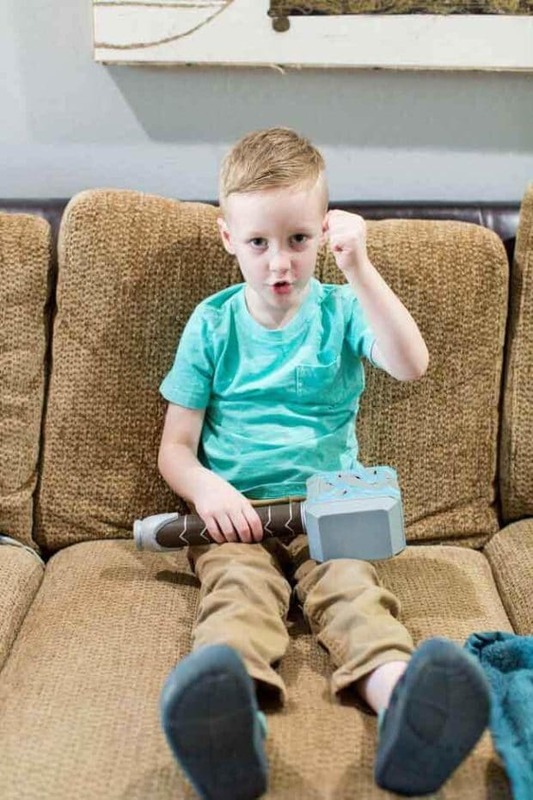 Rowen didn’t want to put down his Thor hammer either. He happily stayed in character for the afternoon. So cute! Fandango is a one stop shop for all things film related. You can easily purchase movie tickets from Fandango.com or their awesome app as well as digital movie rentals and purchases for streaming via FandangoNOW. Fandango recently launched FandangoFanShop.com to connect movie lovers with fun gear from their favorite movies! Fandango FanShop offers a curated collection of unique and exclusive wearables, collectibles, experiences and events tied to theatrical releases and beloved movie franchises. FanShop offers select products and experiences that are handpicked by studios, filmmakers and fans. New merchandise and experiences will be introduced throughout a movie’s lifecycle, so there is always something new to be discovered! 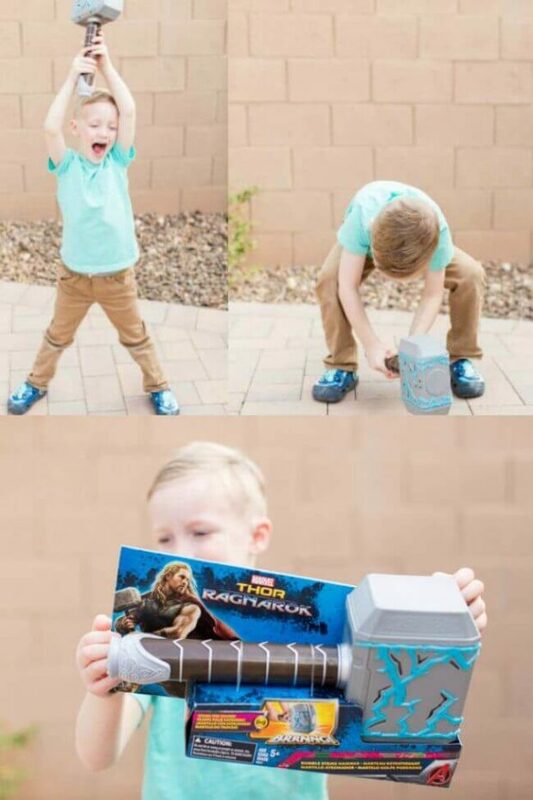 Fandango FanShop has tons of great products that would make any movie lover happy! Fandango gift cards also make a great last-minute gift as well. Who doesn’t love going to the movies? 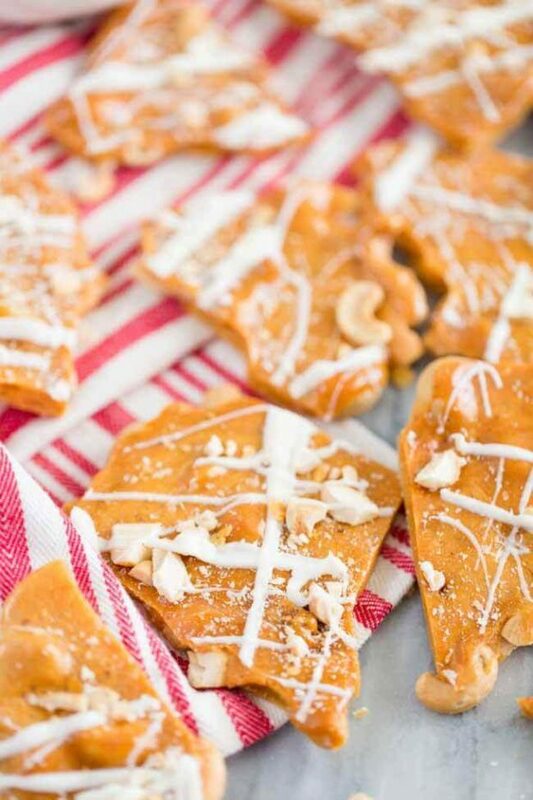 Now that you know all about Fandango – I want to tell you about this yummy cashew brittle we enjoyed. It is SO GOOD. The perfect complement to family movie night. 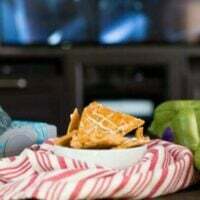 To grab a piece of cashew brittle to enjoy was the only time my boys set down their superhero gear. It’s that yummy. 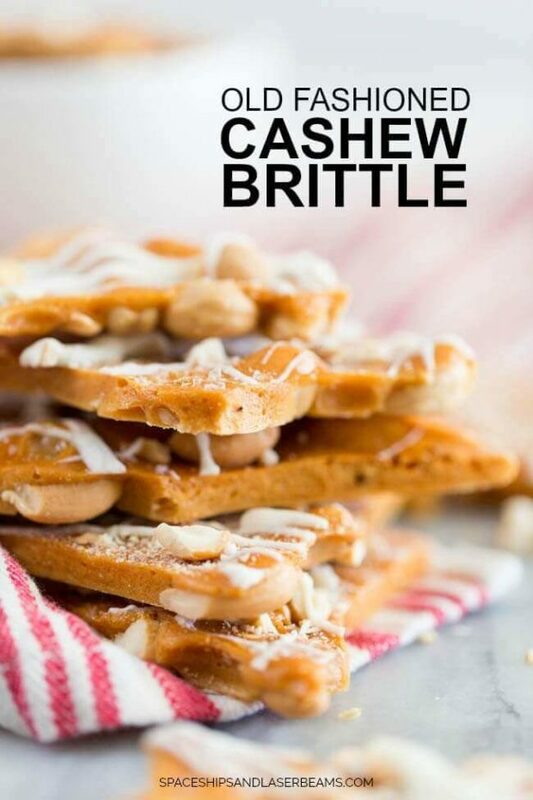 While you wait for the cashew brittle to be ready, check out FandangoFanShop.com. Enjoy! In a large pot, bring sugar, corn syrup and water to a boil. Butter and line a 9x13 baking sheet and spread the cashews out over the pan. Continue to boil until temperature reaches hard crack, about 300 degrees. Once it comes close to temperature, it’ll start to brown so stir occasionally to keep it from burning. As soon as it reaches temperature, remove from the heat. Stir in butter, vanilla and baking soda. Pour over cashews. Sprinkle coarse sea salt and crushed cashews over the top. 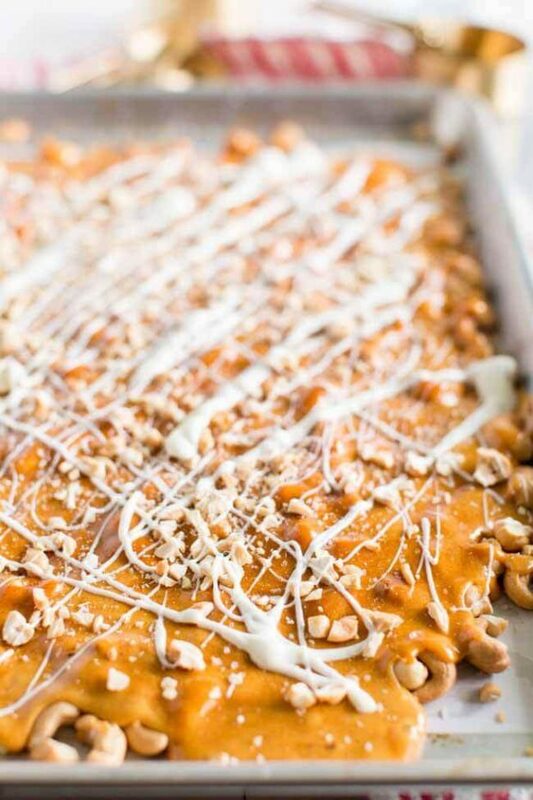 Drizzle the top with melted white chocolate. Let cool. To remove from the pan and break up the brittle, I twisted the pan slightly to get it to break. Break it up into pieces and serve. Super simple to make and had great flavor!